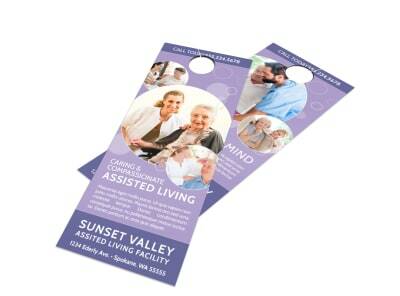 Customize our Sunset Assisted Living Door Hanger Template and more! 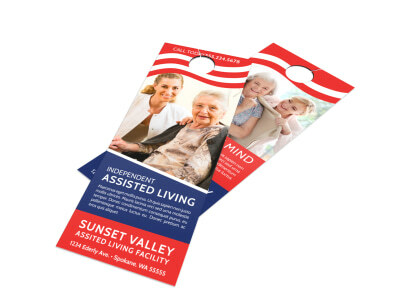 Remind elderly and their families that they have options when it comes to care with this door hanger to promote your assisted living services. 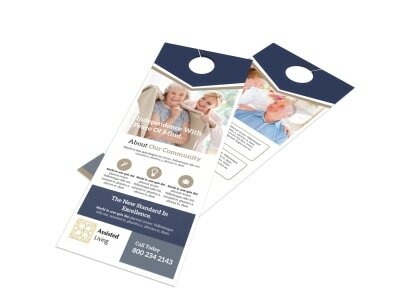 Choose from many different fonts, colors and add images of your own. 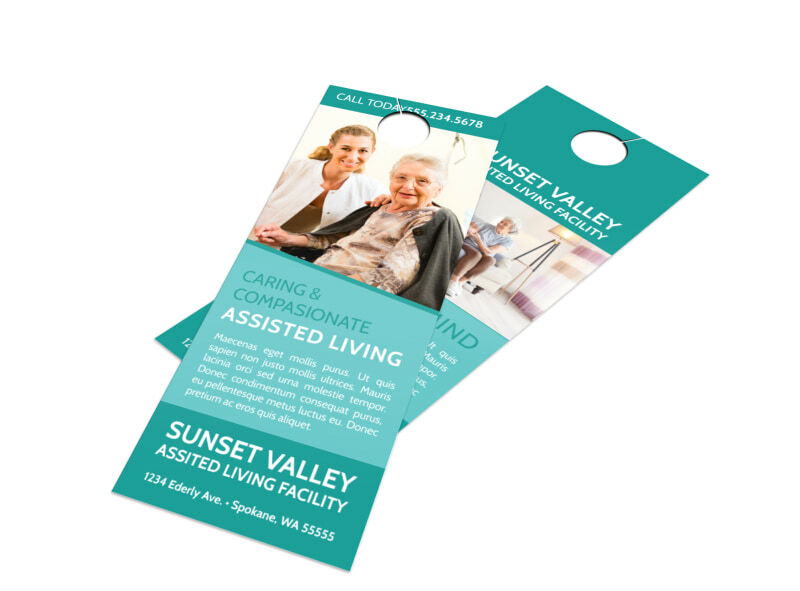 Get started printing now for fast distribution or let our professionals do it for you.